What Can You Expect When You Experience CES for Yourself? 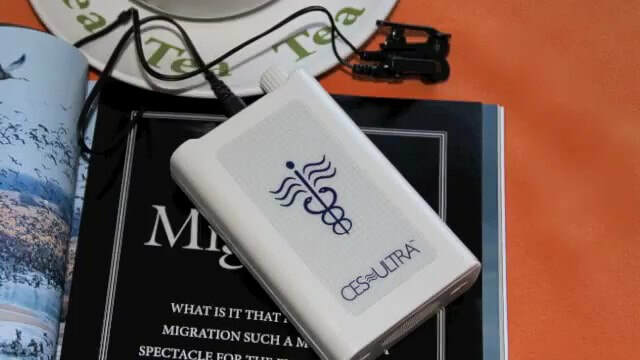 The first thing you’ll notice about using the CES Ultra is a pleasant tingling sensation and the feeling of gradual relaxation that comes with Cranial Electrotherapy Stimulation (CES). Within the first two to three days, you’ll enjoy better sleep patterns, falling asleep quicker at night with fewer waking periods, and awakening in the morning feeling rested. You’ll also notice an elevation in your mood and being prone to less nervous energy and frenetic behavior, if those symptoms have been present. By the end of the first week, you can expect a pleasant, detached state and quieting of the mind with better impulse control and a greater sense of balance, centeredness, and calm. You’ll also experience fewer episodes of irrational anger, irritability, depression, and mood swings. By weeks two and three, mental confusion will diminish. You’ll notice heightened clarity, alertness, and ability to focus. Your ability to concentrate on tasks will improve, you’ll learn at an accelerated rate, and you’ll be back to your normal state of information recall. Join countless others who have experienced significant relief from anxiety, depression, and insomnia. Don’t let stress take its toll on you any longer. Contact us today to learn more about the amazing results now available to you with the CES Ultra! *Order your CES Ultra now! I had been searching for a natural solution to my sleep problems because I knew that the sleeping pills I had been taking were only making the problem worse. I think that the very first time I tried this solution, I became hooked on the experience. As soon as I started using your machine, I could feel the relaxing effect almost immediately and because this device was totally natural and had no negative side effects, for me, it was the perfect solution. It not only reduced my stress and tension levels but it actually gave me a good night’s sleep. As a result, I have made it a regular part of my everyday life and as a matter of fact, the more I use it, the better I feel.